They are very snug and short so Annalise was laying around most of the evening so that she wasn’t flashing her bum to the passers-by in the bar. This is Jezatron’s gorgeous Ryomou! I pointed him in the right direction so that he could adopt this rare and beautiful girl a few months ago, but it was my first time getting to meet her! 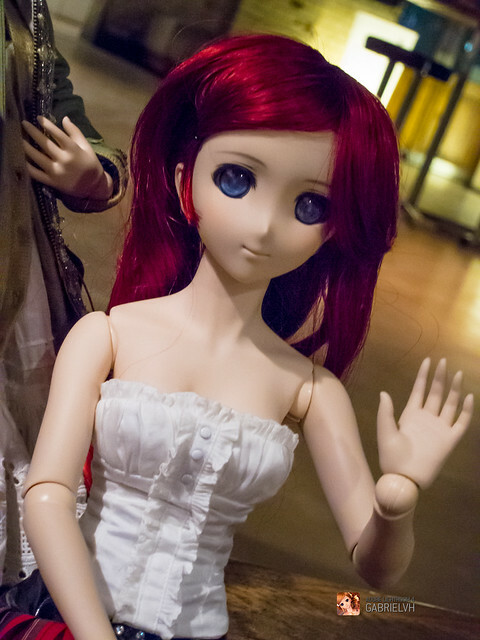 This is JRuzzy’s adorable Haruka Nimii. 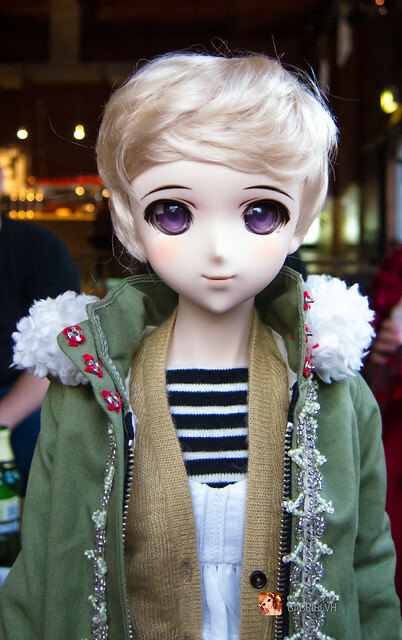 Isn’t she cute with this short blonde wig? He made all of her awesome outfit pieces himself and it was very interesting chatting with him about sewing, fabric and other fashion geekery. I loved the pretty white summer dress she was wearing under all her layers. 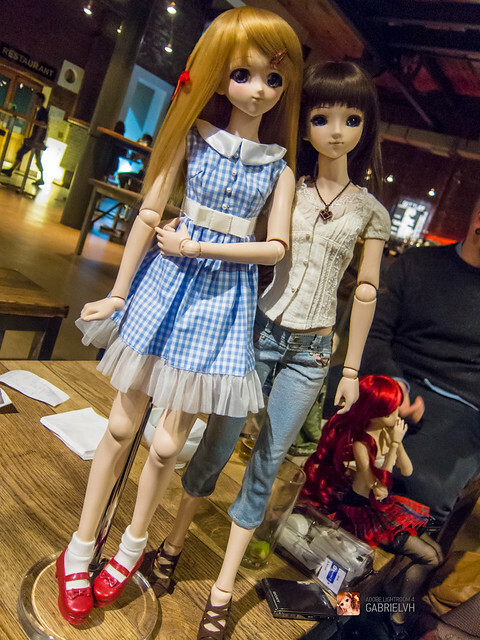 Pink_Blaise brought her new girl, Inari, out to meet everyone. The red wig she was wearing was beautiful and very soft. 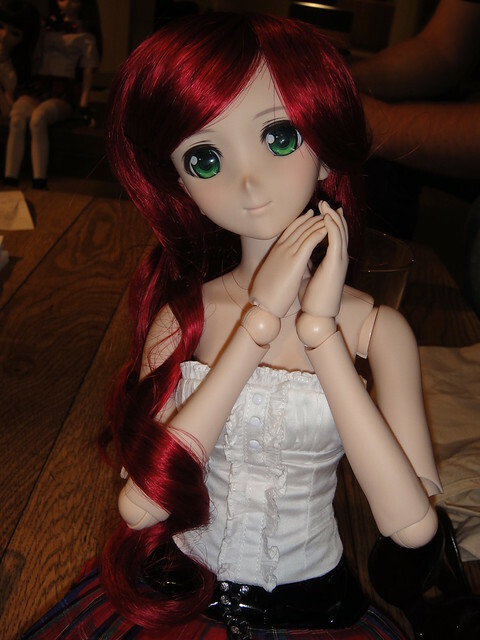 GabrielVH and I showed her the magic of the secret arm joint in the DD2 body (yay – she can touch her face now!) 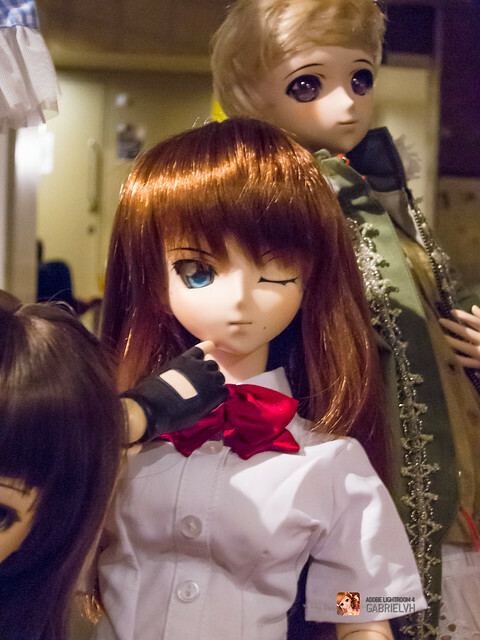 and I helped her remove Inari’s default eyes. The glue came out in one neat little “goggle” and it was very easy since DD Neris has the soft vinyl head. We tried on a couple pairs of eyes and decided that these pretty green Twin-Snow eyes suited her best. Moe’s outfit was very cute – the little blue and white gingham-check dress and her red shoes looked very much like Dorothy from the Wizard of Oz! 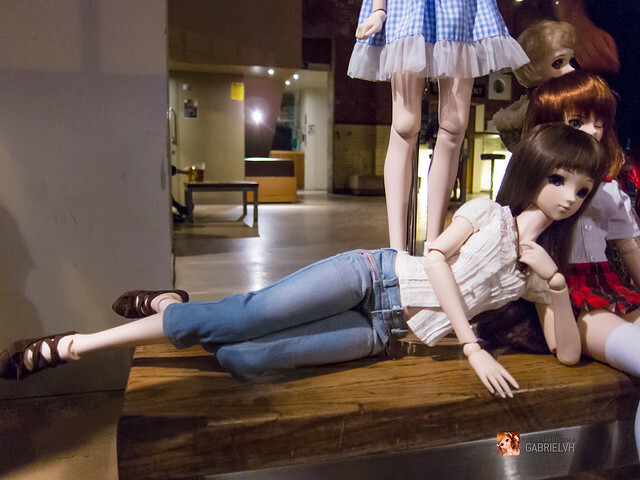 Moe and Annalise’s sculpts show how completely different Dollfie Dreams can look. 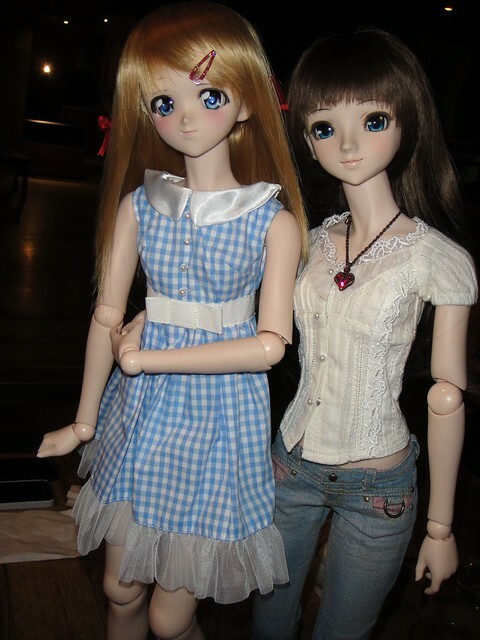 Moe’s face is very anime-styled with her big doe-eyes and tiny nose, where Annalise has smaller eyes, a more realistic nose and natural lips. I’m looking forward to seeing you all again soon! 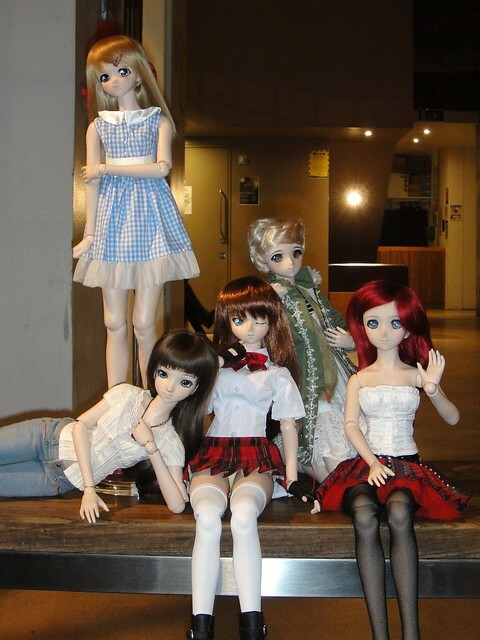 This entry was posted in Doll Meetup, Dollfie Dream and tagged Annalise, Dollfie Dream, London by archangeli. Bookmark the permalink.